This is the last of a four part series, where we’ve analysed the optical performance of 22 wide-angle and ultra wide-angle lenses from Nikon and third-party makers. Nikon are no strangers to this group of focal lengths, of course, having once made one of the most extensive and respected ranges of wide-angle lenses in the history of the 35mm format. Today, Nikon and the third party makers such as Sigma, Tamron, Tokina and Zeiss offer an expansive range of models that exceed those models from yesteryear in both scope and performance. We’ve tested the high-resolution D7100 with 10 full-frame primes between 14mm and 24mm in focal length and 12 zooms including the DX format ultra-wide Sigma 8-16mm (12-24mm equivalent) f/4.5-5.6 and Nikon’s extreme full-frame AF-S 14-24mm f/2.8G ED. Full-frame wide-angle lenses aren’t quite as appealing on DX format bodies thanks to the crop factor of the smaller sensor, but they can still be useful. 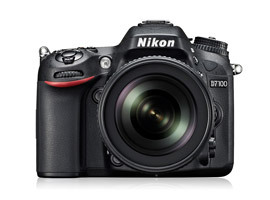 On the Nikon D7100, of course, the 24mm lenses that occupy the number one and number two positions have the equivalent field of view to 35mm lenses (which are only moderately wide). Be that as it may, if you have a full-frame body as well, the lenses become very versatile indeed. 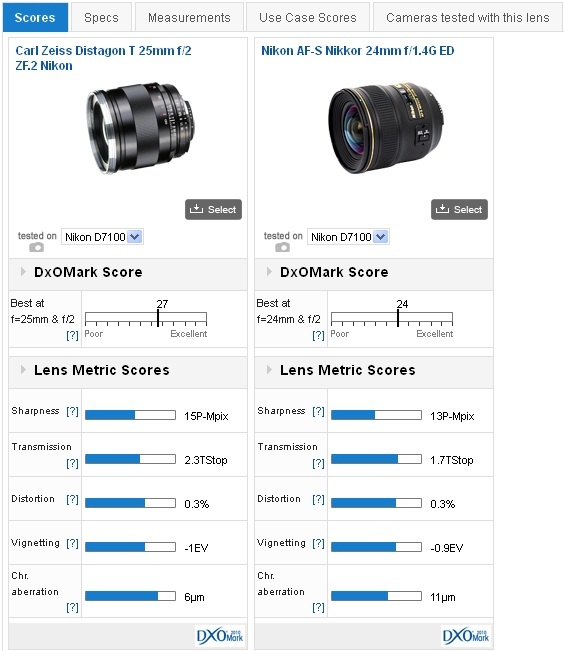 The Carl Zeiss Distagon T* 25mm f/2 is the best performing wide-angle lens on the D7100, with a DxOmark score of 27 points. The Carl Zeiss Distagon 25mm f/2 has high levels of sharpness and very low chromatic aberration. 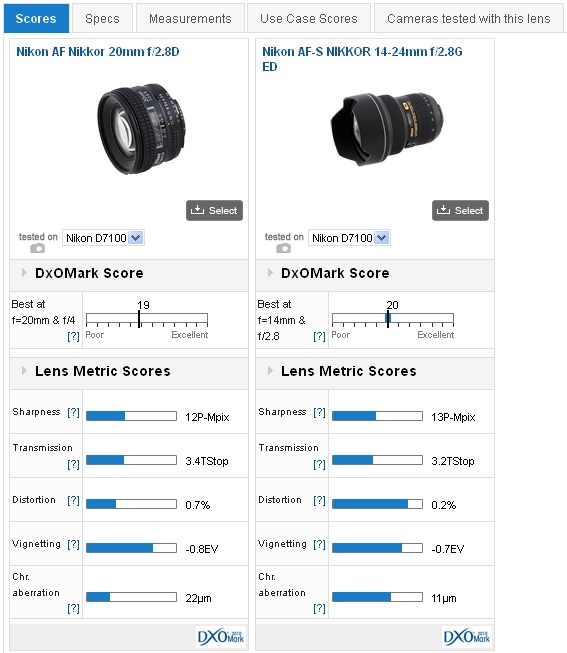 The widely respected Nikkor 24mm f/1.4 is placed second at 24 points due in part to slightly lower levels of sharpness and some wayward CA (at least when compared with the Zeiss). In third place is the Sigma 20mm f/1.8 EX DG Aspherical RF, another full-frame model and with a slightly wider field of view, approximating a 30mm on a full-frame camera. It has slightly higher sharpness levels than even the Zeiss but it has less homogeneity in the field (sharpness in the corner is pretty low, higher vignetting, distortion and CA). At $629 it’s already modestly priced, given the brighter than average f/1.8 maximum aperture for this focal length. 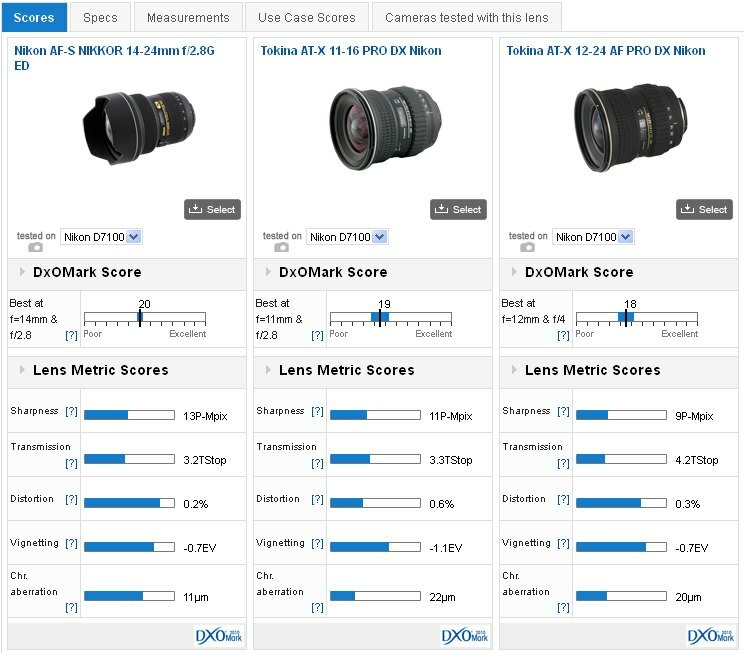 But, if brand loyalty is important, Nikon has a AF Nikkor 20mm f/2.8D model from the film era that performs well, with a DxOmark score of 19 points and a 12P-Mpix rating for sharpness. While the Nikkor 20mm f/2.8 is actually a good performer optically, the Nikkor AF-S 12-24mm f/2.8 is as good and it’s far more flexible. Nonetheless, due to its high image quality, the AF-S Nikkor 14-24mm f/2.8G ED model has mostly made all the older full-frame wide and ultra-wide angle prime lenses redundant from the maker, though there are other, more suitable options for the smaller sensor D7100. Most Nikon (and rival) users will have heard just how good the AF-S 14-24mm f/2.8G ED actually is, and it comes as little surprise to see it top our rankings. You’ll also notice with a DxOMark score of 20 points, it actually outperforms the $1,732 Carl Zeiss Distagon T* 21mm f/2.8, one of the most respected wide-angles in the business. As the equivalent to a 21-36mm on the D7100 though, the Nikkor lens may not be the best option as it’s large, heavy, and expensive and can’t take filters easily. Few can dispute the performance of the AF-S Nikkor 12-24mm f/2.8G ED, but it’s not the best option on the D7100. The Tokina AT-X116 and 124 Pro lenses perform very well and as DX format models are wider, smaller and more modestly priced. This is one of the reasons why there’s a proliferation of DX format zooms, some even wider than the Nikkor zoom. While the firm makes an AF-S DX 10-24mm f/3.5-4.5G ED, which is a good performer, both the Tokina AT-X 116 Pro DX (AF 11-16mm f/2.8), a 17-25mm equivalent and the slower Tokina AT-X 124 AF Pro DX (equivalent to a 18-37mm f/4), are better optically and occupy the second and third places in our rankings, respectively. The performance at maximum aperture of the two Tokina models is on a par with the Nikkor. Both the Tokina DX format models show competitive sharpness compared with the full-frame Nikkor, even at full aperture. 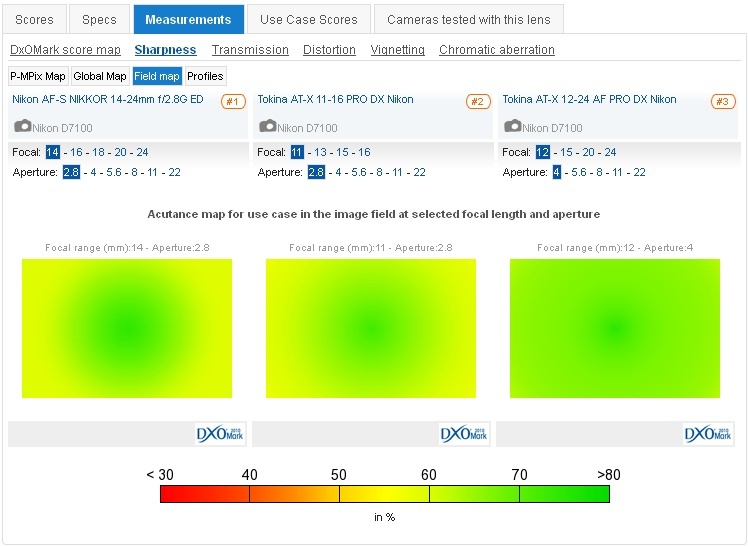 Overall though they can’t quite match the image quality, having slightly lower averaged sharpness throughout the zoom range, higher distortion and higher levels of chromatic aberration (for more information please follow the links here to the field maps). Even so, the two Tokina models are excellent performers and are both smaller and lighter and offer tremendous value.